We offer moving services to, from or within Woodbridge, New Jersey, with flexible, affordable, and comprehensive moving and storage services. Our customers enjoy moving experiences that include coordination with multiple points of contact, expert, communicative staff, impeccably clean trucks and storage facilities, flexible pricing and payment options, and continuous client support. Our logistics coordinators, movers and drivers complete extensive training programs, and know how to manage your assets with unparalleled care, and using refined technique. Only with us can you be sure that all your valuables will remain in top-notch shape throughout the moving process. Take advantage of our online quote form or give us a call now to receive a moving estimate, with no obligations. Moving need not be a stressful hassle; rather, with us, it is smoothly coordinated. We absolutely never compromise on quality, and we are proud to deliver our clients simply the best possible services. Please contact us now to begin your moving journey to your new home or office. 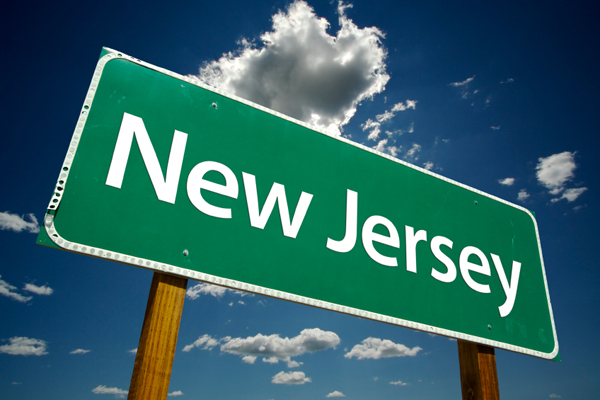 We’ve been serving folks and businesses moving around, from, and to Woodbridge, New Jersey, since 1916. The Woodbridge community demands only the highest quality moving and storage services — and we deliver them just that without ever missing a beat. Woodbridge, considered one of the best places to live in America, continues to be a hotspot for our activity. We drive countless miles around America serving Woodbridge, and we look forward to continuing our work in this beautiful, inviting township of Bergen County. Please call us now for a free moving estimate and to receive in-depth consultation on your upcoming move. We’ve worked within the Woodbridge community for many years, happily traveling miles upon miles across America to move folks in and out of Woodbridge. We provide Woodbridge residents with moving services of the highest caliber, and we offer them pristine, conveniently-located storage facilities. Were happy to share our knowledge of local Woodbridge geography, procedures, policies and points of interest to newcomers, to make them feel more at ease during their move to Woodbridge. Our mission is to provide not only a perfectly executed moves, but also to offer non-stop support, consultation, and a positive, stress-free moving environment. We’re far more than just the average moving business-we’re a family of dedicated professionals that takes pride in successfully moving individuals and families to, within, and from Woodbridge. Our comprehensive services in Woodbridge soar above those of competitors; as a result, we’ve become a thought leader in the field around Woodbridge and beyond. Please contact us now to start planning your move to, from, or within Woodbridge. If you are moving your company to, from, or within Woodbridge, New Jersey, then ensure yourself smooth sailing by teaming up with American Movers. We recognize how busy you are — so please allow us manage all your moving logistics at a competitive rate. We have been managing all types of large scale corporate moves — both local and long distance — since 1916. We offer our clientele highly secure, conveniently located, climate-controlled storage facilities that are available for use both long and short term. Our team can move you efficiently and quickly, handling your assets with the ultimate care and professionalism. Well take care of moving, arranging, and installing office furniture, large equipment, artwork and more. Our expertise and credibility has made us a thought leader in our sector in Woodbridge and beyond. Please contact us now to receive an obligation-free estimate for your upcoming move within, to and beyond Woodbridge.